There are no short cuts to success but there are short cuts which save a lot of time & can help you in your trading! While trading time is of utmost importance. A slight delay can result in large losses. 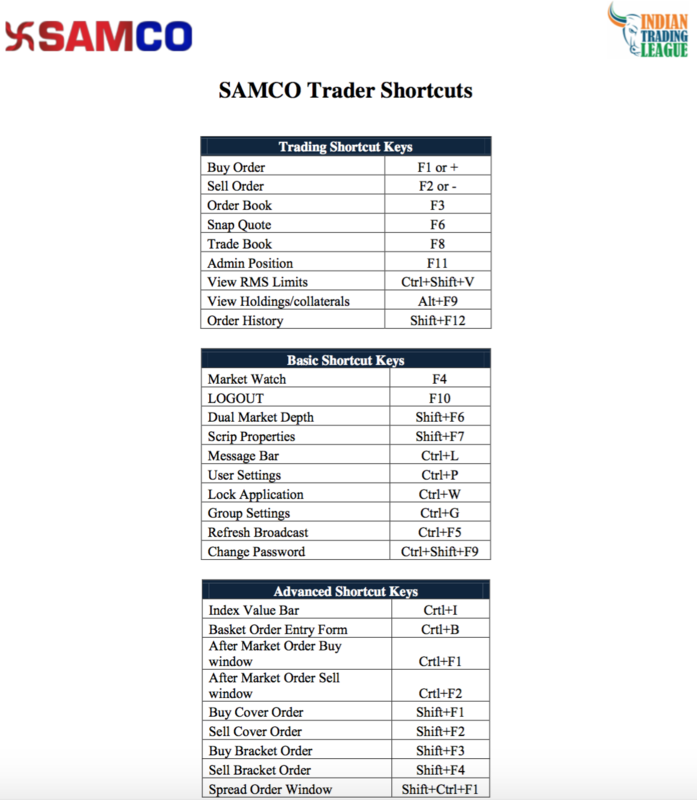 You can also Save this Image listing the shortcuts for your future reference. (1) please sand me tutorial Spread Order Window Not Bater under sand. Will look in the rest and get back to you. U did some major mistake. For West Bengal Rs 1000, STAMP DUTY for DELIVARY ONLY For Derivative it is only Rs200, why you are taking Rs 1000 for Nifty Futures? My present brokers Zerodha & Sasonline both taking Rs 200 for Nifty Future for West Bengal. Please rectify your error fast. We Bengali traders want to participate in ITL. Apologies in case there was any confusion about the same. Would love to have you onboard the ITL.